Every six months, a quarter of the world’s population has to advance or turn back their clocks by one hour, and with each change, the controversy about the advantages and disadvantages of this measure returns like clockwork. The European Commission hopes to end the controversy and has proposed to eliminate the time adjustment after polling its citizens. It would be the end of a measure that was proposed as a law for the first time in 1908. Since then, it has been a constant source of tension, chaos and heated scientific debates. But the tempestuous history of daylight saving time (DST), also called summer time in many countries, began long before. It was a summer morning in 1784 in Paris, where Benjamin Franklin was installed as the American ambassador to France. There he realised that the Sun came up much earlier than in winter, and he thought to himself that Parisians should get up earlier in the summer and go to bed earlier to save the oil in their lamps. He even calculated that the city of Paris would save each year the equivalent of 170 million euros today. In an anonymous letter to the newspaper Le Journal, Franklin proposed in a satirical tone the establishment of a tax on window shutters or waking the public with cannon blasts at sunrise. 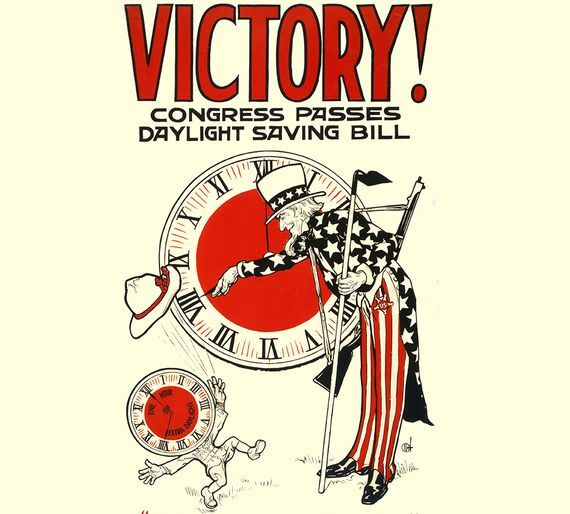 But Franklin did not invent DST; he only proposed a change in habits, something similar to what the Spanish National Assembly did in 1810, with a regulation that set the time of some meetings one hour earlier between May and September (instead of changing the clocks). These were the first attempts to adapt to a problem in the industrialised world that did not exist in agrarian societies where people got up with the crowing of roosters or the ringing of bells at sunrise. Since before Roman civilisation, the time from sunrise to sunset—however long that lasted—was divided into 12 hours or parts, so that summer hours were, understandably, much longer than winter ones: near the summer solstice they lasted 75 minutes in Rome, while at the winter solstice they did not even reach 45 minutes. This flexible way of adapting daily routines to the Sun came to an end when mechanical clocks were perfected and popularised in the 18th century. In that period, the clock of the main square in each town was adjusted to twelve o’clock every noon (the highest moment of the Sun on the horizon) and each person synchronised their own watch with the one in the square. Daily life began to be organised around 24 hours of 60 minutes. But it turned out that every day and in every place dawn arrived at a different time: in Paris in 1784 the Sun rose a little before 4 a.m. in June and at around 8 a.m. at Christmas. If a Parisian started the year with the good intention of getting up at 8 in the morning, when summer arrived he was wasting more than four hours of sunlight, as Franklin lamented in his satirical letter. 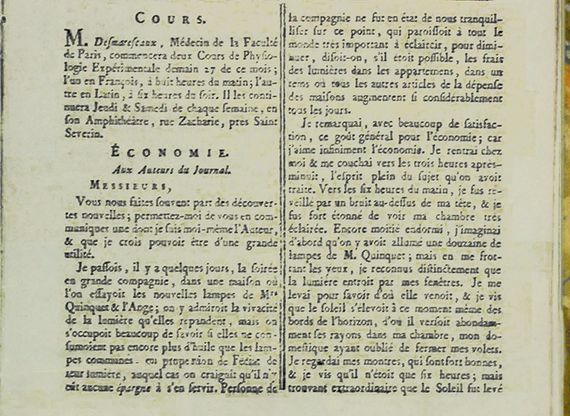 First page of Benjamin Franklin’s anonymous letter to the editors of Le Journal. Source: Wikimedia. During the nineteenth century this gap was not corrected. The industrial revolution arrived and other concerns took priority: with the extension of the railroad and the telegraph, it no longer made sense for each city to be governed by its own solar time. The need to coordinate and unify schedules arose, first to avoid train collisions and then to communicate remotely in real time. This is how standard time and time zones were implemented. Decades passed, until at the beginning of the 20th century the English builder William Willet latched onto Franklin’s idea during his summer horseback rides at dawn, while his neighbours slept soundly. Abandoning the idea of trying to get them up earlier, it occurred to him to advance the clocks so that everyone could take better advantage of the sunlight. What’s more, as a bonus, night would not arrive so early during his afternoon games of golf. Willet published a pamphlet, The Waste of Daylight, and in February 1908 managed to get his initiative to the British Parliament, where a young Winston Churchill defended it with ardour: “An extra yawn one morning in the springtime, an extra snooze one night in the autumn is all that we ask in return for dazzling gifts. We borrow an hour one night in April; we pay it back with golden interest five months later.” But the large corporations and shipping firms put a halt to the revolutionary measure. Scientists were also opposed; proud of having recently established a system of time zones, they used the journal Nature as a platform to attack an initiative that introduced annoying irregularities into their new world order. Willet did not give up and continued to promote the idea until his death in 1915, a year before DST would be implemented for the first time. But while the British were still debating the topic, it was their great enemy (Germany) that first applied Willet’s proposal during the First World War. On Sunday, April 30, 1916, Kaiser Wilhelm II approved DST in order to reduce the consumption of coal for artificial lighting. The United Kingdom reacted quickly together with other neighbouring countries, which turned their clocks ahead during that summer and the following ones. Although many of them have maintained DST since then, others have established and abolished it randomly. In 1950s and 1960s, DST lost popularity. In the USA it was complete chaos. Until 1966, each municipality chose if and when it applied. The time difference between large cities oscillated for several weeks a year, causing losses to industry. It also separated neighbours of the Twin Cities (Minneapolis and Saint Paul, which form a very cohesive metropolitan area). There is even the recorded case of a bus line in which the driver had to change the clock seven times in less than 60 kilometres when travelling between Steubenville (Ohio) and Moundsville (West Virginia). Compelled by the first major oil crisis, the United States and many European countries have adopted DST uninterrupted since 1974. Already in the 1980s, the European Union unified the dates of change to avoid imbalances between its member countries. 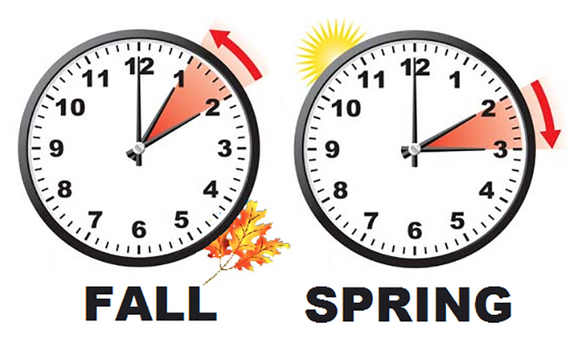 Since then, we advance the clock by one hour the last weekend of March (Spring forward), and we turn back the clock by one hour the last weekend of October (Fall back). Of the 194 countries in the world, 73 have changed the time in 2018. Most of Asia, Africa and Latin America choose not to do so. In the countries near the equator, the hours of light and dark scarcely vary throughout the year, so changing the time makes little sense. In those countries located far to the north or far to the south, a change also lacks logic: the difference between the hours of light in winter and in summer is so great that it’s impossible to compensate for it. The Nordic countries do apply DST to synchronise with the rest of the European Union, but, for example, Iceland does not. Portugal has already said that it does not intend to comply with the decision of the European Commission and will continue to apply DST. It seems that there will still be controversy for a while over this strange hour that appears and disappears.